Transforming education throughout the entire Urbandale Community School District can only be accomplished through the transformation of each and every person in the district, thus team members in all departments have an integral role in the fine-tuning and continual improvement of their processes. All departments operate in a collaborative culture with a commitment to quality and dedication to customer service. 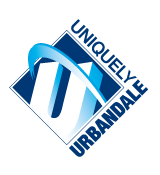 Urbandale believes a successful school district focuses on academic and co-curricular performance excellence as well as the joy and success of all team members. From improving employee satisfaction and retention, to decreasing non-essential spending, to increasing the optimization of resources, to building strong partnerships with all stakeholders, to renewing a sense of purpose and meaning for all learners, Urbandale embraces Quality and Continual Improvement as the essential foundation for performance excellence.